We are currently unable to offer cashback discounts on any purchases made at UNIQLO. Please see below for details. Shop online for a wide variety of casual wear like denim jeans, jackets, graphic shirts, fitness apparel with HEATTECH technology, outerwear, scarves and other kinds of accessories. You'll find toys, winter coats, legging pants, shoes, shorts, dresses, sports bras, socks, sweaters and more. Get $10 off your next online order of $75 and over when you sign up for UNIQLO emails, and snag free shipping with purchases of $99 and more. Save even more money with our UNIQLO promo codes and cash back deals. 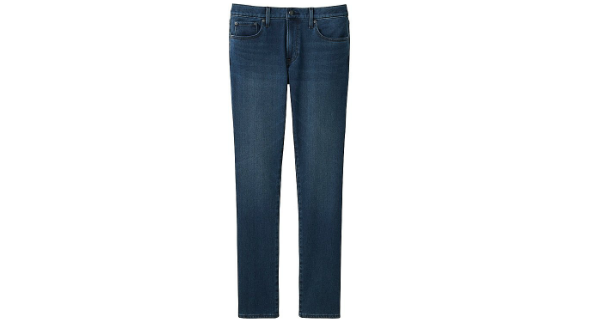 The men's HEATTECH slim-fit jeans are stylish and practical. Made with innovative HEATTECH denim, they'll keep you warm during the cooler seasons. They're also constructed with stretch material so they're comfortable and flexible. And a good pair of pants is nothing without a great shirt to pair them with. The men's KAWS X Peanuts short-sleeve graphic T-shirt will give you a casual hipster edge. It's made with cozy, high quality cotton, and you can get it in white or black. Hey, why not choose both? Moving on to women's clothing, the HEATTECH extra warm crew neck t-shirt is perfect for indoor and outdoor fitness. 1.5 times warmer than regular HEATTECH material, you'll be snug as a toasty bug during the winter months. The air gets dryer as the temps get cooler so it's built with argan oil. This added feature will moisturize your skin as you go about your business. If it's really cold, throw on a women's Ultra Light down parka. Made with water-repellant and waterproof material, it will keep you dry during inclement weather. This coat is also made with a sleek and compact design so it's not as bulky as other winter jackets. If we have UNIQLO promo codes available, you can save a ton on clothing. All you have to do is select the "Click to Reveal" button underneath an offer on our UNIQLO page, and you'll be able to see the coupon. When you can't find UNIQLO coupons on our page, you'll be able to find them in UNIQLO newsletters. All you have to do is sign up with your email address, and UNIQLO will occasionally send you promo codes and offers. Once you get a promo code, you can use it after placing an order. There will be a box on the confirmation page where you can enter the code. The discount will appear once you've punched in the data, and then it will be applied to your total. Score free standard shipping when you spend $99 or more. This delivery will take 3 - 7 business days. If you've spent under $99, you can still snag a sweet standard shipping deal with a $5 flat rate for all items. Other shipping options include Two Day and Express for a fee. In-store pick up is free, and it takes about 3 - 5 business days. 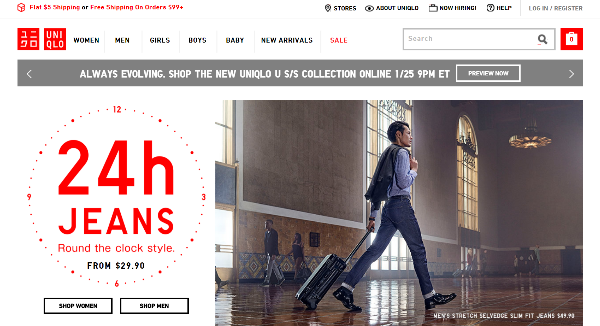 Sign up for UNIQLO emails, and you'll get $10 off your first order of $75 or more. This deal applies to online shopping only, and it cannot be used with other promos or offers. It can't be applied to previous orders either. Browse the Sale and Clearance Items pages to find the latest looks for less. You can narrow down your search with main categories like Men, Girls, Boys and Baby. Or you can navigate subsections like Maternity, Jeans, AIRism Collection and more. Shop UNIQLO.com for the latest women's, men's and kids' clothing and accessories. Browse our unique range of essential clothing made for your life!